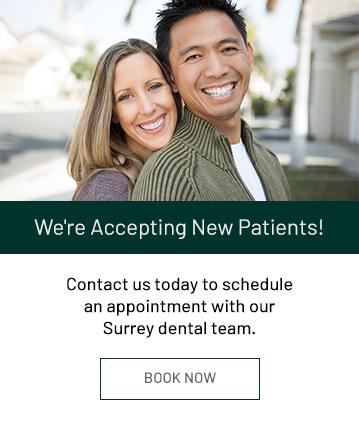 Restore your smile to its former health and function with our selection of dental restoration options at Guildford Smiles Dentistry in Surrey. Now and then, in spite of our best efforts, dental decay can crop up. At Guildford Smiles Dentistry, we'll identify and treat decay early, before the become serious. We offer white and amalgam (silver) dental fillings to repair tooth decay and damage. Inlays and onlays are bigger, stronger versions of fillings used to repair larger areas of damage. Dental crowns are dental restoration that completely cap a tooth or dental implant. If the inner pulp of your tooth is infected, a root canal treatment is necessary to save the tooth.